Journey through an extensive collection of plain wedding rings, mirror polished or satin finished, available with the optional customisation of engraving. Most of our plain bands give extraordinary comfort and value. Choose between Platinum, Palladium or 18ct Gold in white, yellow and rose options or seize the opportunity for a richly meaningful Fairtrade Gold wedding band for 100% ethical assurances. Our collection includes light, medium and heavyweight rings with a slight court, traditional court, D-shape, flat court, and concave designs as part of our core range of wedding ring styles. A slight court wedding ring created with a lighter weight design. Sitting closer to the finger this affordable design is sleek and features a comfortable fit with a slightly curved outer surface. Lightweight court profile wedding ring. This ring design is suitable for either a men's or ladies wedding ring, usually depending on width chosen. This is the light version of RWD001, and is lower to the finger. Very comfortable and available in many widths. Contact us if you would like the addition of laser engraving which we provide as an additional service for wedding rings in any chosen typeface. Available in 950 Palladium, Platinum, alongside 9 carat and 18 carat gold alloys. Timescale is normally 1- 3 weeks depending on options chosen. Wood boxed and gift packaged. A slight court wedding ring, medium weighted featuring a gently curved outer surface combined with a curved comfort fit inner surface. Shown in our main image in the 6mm width option. Wonderfully comfortable, and most popular medium weight court profile wedding ring, with comfort fit. This style works very well with most court profile engagement ring bands. Available as a men's or ladies wedding ring in across so many metal, width and size combinations. Contact us if you would like the addition of laser engraving which we provide as an additional service for wedding rings in any chosen typeface. Available in 950 Palladium, Platinum, alongside 9 carat and 18 carat gold alloys. Timescale is between 1 - 3 weeks depending on options chosen. Heavyweight court profile wedding ring with a gently curving outer surface and inner comfort fit. Heavy version of our court profile (RWD001) with a much deeper and heavier weight. Additional weight accounts for a more substantial feel with a 2.3mm ring depth. This design is suitable for either men's or women's wedding rings, and can be very cost effective for a heavy court wedding ring when purchased in the 950 Palladium option. Laser engraving is also available as an extra service. Please enquire for details. Complimenting many of our engagement rings, this slight court wedding ring has a medium weight and a polished flat outer edge. Modern court ring profile. Medium weight, approx. 1.7mm depth. Available in 2mm to 8mm widths. Most metal choices. Please allow upto 3-4 weeks although many sizes and combinations are available from stock. Can be engraved (optional extra) contact us for details. 2.5mm and 5mm widths shown in main image. The traditional court wedding ring offers comfort and durability within a light weight ring design. Resting close to the finger, this comfortable curved design benefits from classic looks and is available in a wide range of precious metals and widths with optional engraving offered on all orders. Traditional court wedding ring with a curved shape and curved comfort fit for men or women. Available in a wide range of widths, and metal choices, this very popular traditional court wedding ring benefits from a curved design, with an exceptionally comfortable feel. A solidly crafted and substantial heavy weight traditional court wedding ring, benefitting from a comfort fit and curved outer surface, available for both bride and groom in a range of materials and width options. The traditional court wedding ring is offered here in the heavyweight version, shown in our main image in a 6mm width. With polished edges and a curved outer face, the ring also features a comfortable fit with a 2.2mm ring depth. Regular D shaped wedding ring, with medium weight featuring a rounded outer shape with inner flat surface. A regular medium weight D shaped wedding ring which is suitable for both men and women. This design has a curved rounded outer face, and a flat inner surface with a nicely balanced medium weight. This ring design is available across many metal choices, all costed very competitively. We can provide this design engraved and personalised. Please contact us if you would like precision laser engraving at a small additional cost. Please allow 1-3 weeks depending on options chosen. Brushed finish, low dome wedding ring featuring a D shaped profile and matte brushed effect available in many widths and precious metal options. Medium weight wedding ring. Brushed finish. Widths from 2mm to 8mm available. Full choice of precious metals available. A heavy D shaped court profile wedding ring with a heavyweight profile, rounded outer face and flat inner surface. Heavy D shaped court wedding ring. Heavy weight design. Deep rounded outer surface. Court inner surface. Available in a choice of wedding ring widths from 2mm upwards. 2.3mm depth. This design is the heavier version of RWD003. The D-shaped court wedding ring features a domed outer shape combined with an inner comfort fit, substantially weighted with a feel of both luxury and style. D shaped wedding ring with subtle comfort fit. This ring design is a heavier more rounded alternative to our regular D shape RWD006. With a depth of around 1.8mm this ring design is suitable for men and women with a weighty and luxurious feel. Typically 3 weeks as a guide to timescale. We can offer the laser engraving to provide a message, date or names in any typeface at a small additional cost. Available in 950 Palladium, Platinum, alongside 9 carat and 18 carat gold alloys. The Flat court wedding ring is simply styled, featuring a flat outer face with domed court inner surface for maximum comfort. This version delivers a light-weight option to the design, shown in our main image in the 6mm option. Flat faced with a rounded inner surface, this popular design rests low on the finger offering comfort with a 1.5mm depth, crafted in many different width and precious metal options. 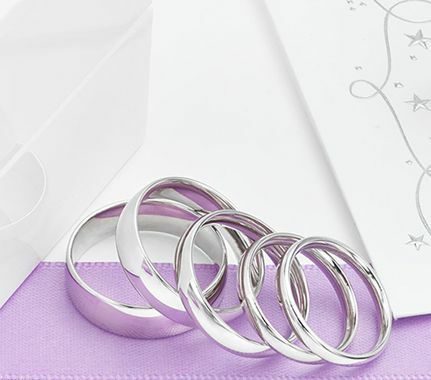 The flat wedding ring is simply styled, with a flat outer surface, generous depth, featuring a polished edge and flat inner surface available in many precious metal and width options for both bride and groom in mirror or brushed satin finish, with optional engraving choices. 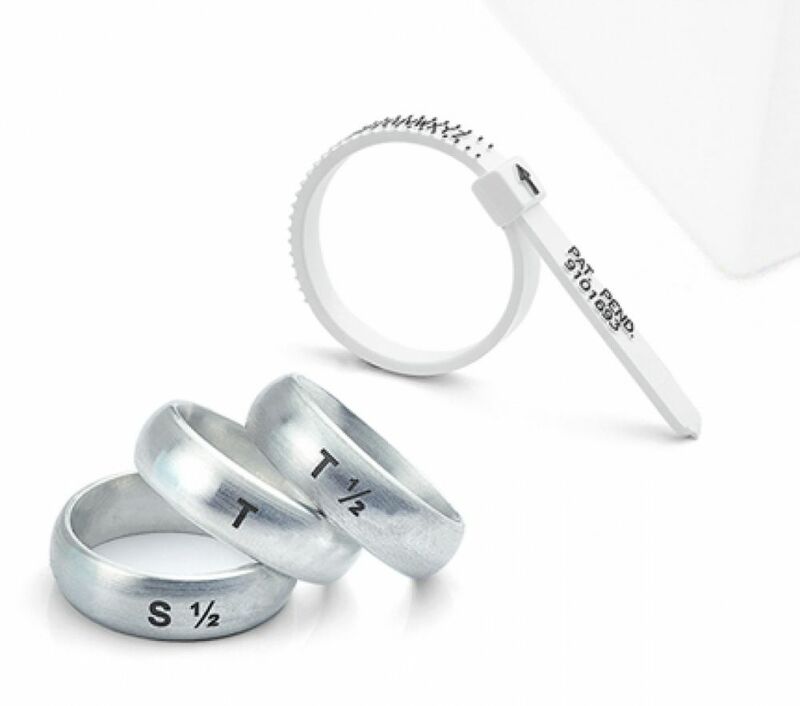 Flat profile wedding ring, with both flat inner and outer faces with a squared cross section. This design is a medium weight, and is available as either a men's or ladies wedding ring. We can create this ring in most metal choices, width and finger sizes. Max. 3 weeks for this design, but sooner depending on your chosen options and stock levels. Enquire if you would like personalisation with laser engraving for a small additional charge, in any typeface. This Flat Court Wedding Ring is offered in a medium weight, featuring a domed inner comfort fit combined with a flat outer face and polished edges. Shown in our main image in the 6mm wide option. Medium weight flat court profile wedding ring. Flat outer face with rolled, court inner surface providing a comfortable fit. Available as a men's or women's wedding ring in many different metal and width combinations. Please allow 1- 3 weeks depending on chosen options. This design can be precision laser engraved for personalisation in any typeface for a small additional charge. Rings are accurately priced on live metal costs and are fully finished, and wood boxed and elegantly packaged. Bevelled edge plain wedding ring, for both men and women, available in many metal, width and finish options. Available in a range of finishes, this men's or ladies wedding ring features a flat court profile, comfort inner fit and distinctive bevelled edge. If you like the contrast of a satin outer finish, we can contrast this with polished bevelled edge for that designer look. We can also provide crisp laser engraving on the inside or outside of rings with wording or dates in specific typefaces. Contact us for more details on this service. A flat profiled wedding ring with a rounded edge and comfort fit. Available in a range of widths, metals and finger sizes. Substantial flat design with a rounded edge and internal comfort fit. 1-3 weeks delivery depending on metal, finger size and width chosen. Wood boxed and gift packaged. Optional laser engraving upon request, for a small additional charge in any typeface. A concave wedding ring with a comfort inner fit and an outer concave surface. Choice of different widths. Gentle concave profile. Available in 18ct Yellow Gold, 18ct White Gold and Platinum. Satin Finish available on request. Approx 3-4 weeks delivery time. When you purchase your wedding ring, there are several factors to consider. 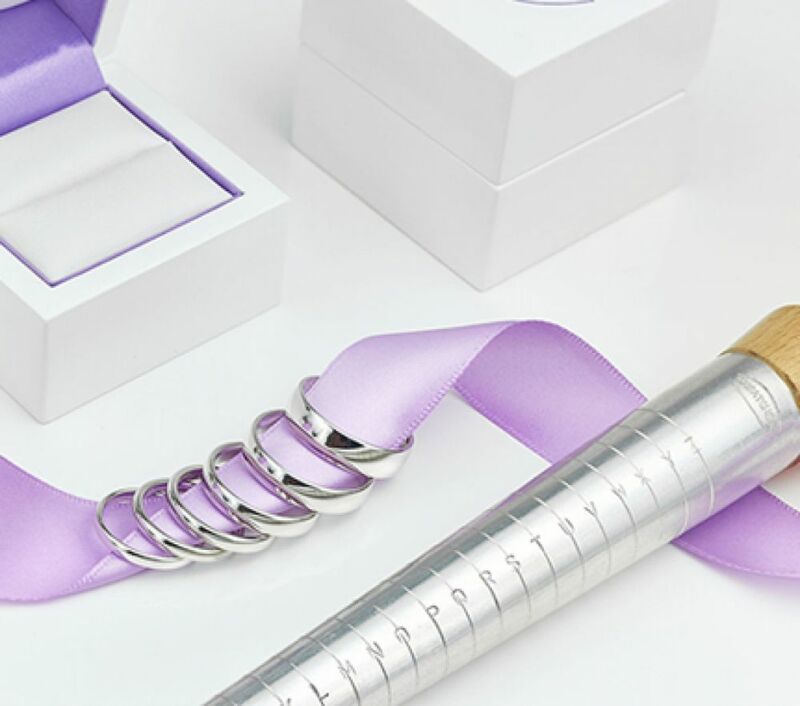 From the precious metal choice and colour, to the style and comfort of the band each option can be precisely costed using our responsive website with live daily pricing based on current metal costs. Each plain ring design can be made in 950 Platinum, 950 Palladium, 18ct White Gold, 18ct Yellow Gold and 18ct Rose Gold with Fairtrade Gold also available. Our collection includes widths from 2mm to 8mm and beyond, with narrower widths perfect for the bride, and wider styles more suited to the groom. Within our online pricing, select your finish and optional engraving, applied by laser in your chosen font. When you select engraving, we contact you after purchase to discuss your message, date or wording. Applied in any typeface, we have many options including a faithfully replicated fingerprint engraving option. All of our plain wedding rings include a lifetime warranty, free size adjustment if required, and free shipping across UK, Ireland, USA, Canada and Australia and over Europe. Purchases can be made in your local currency and all plain wedding ring purchases include shipping and duty, sent beautifully boxed by secure courier. 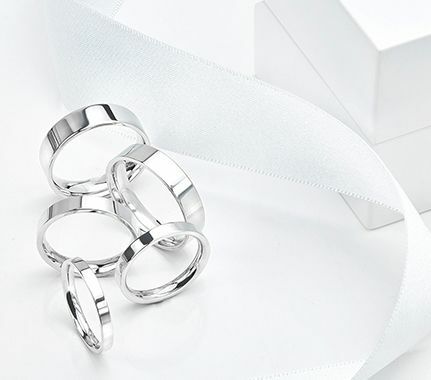 Let us create your perfect wedding ring, gleaming and immaculately presented for a lifetime of meaningful wear.